A change in electricity generation is already a reality. The share or renewable energy in the grid is rising and will only continue to do so. However, integrating a very high share of fluctuating renewable energy sources (RES) in the electricity grid is one of the main challenges for the decarbonisation of the future energy systems. Therefore, a new European project has been launched to tackle this problem – CHESTER. 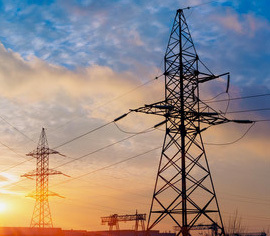 CHESTER project focuses on maximising the flexibility of smart technologies allowing renewable energy management, storage and dispatchable supply while combining power with the heating sector. The CHESTER project, funded by the European Commission in the frame of Horizon 2020 TOPIC LCE-07-2016-2017 grant agreement number 764042, aims at developing and validating an innovative system that will allow for energy management, storage and dispatchable supply of many different Renewable Energy Sources (RES) by combining the electricity and heat sectors. 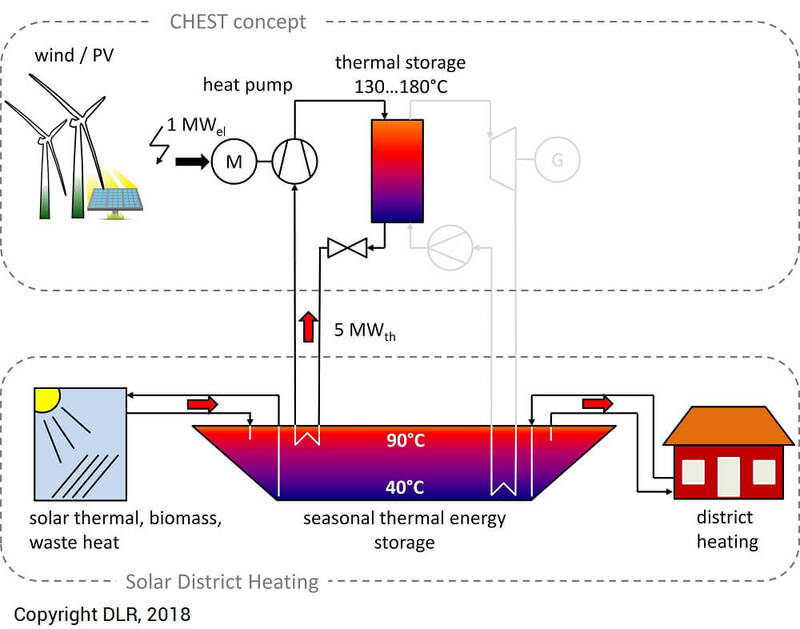 The process is made possible through combining the so-called CHEST (Compressed Heat Energy Storage) system – an innovative power-to-heat-to-power energy storage system – with the Smart District Heating. The described process creates a very flexible and smart renewable energy management system that can store electric energy with a round-trip efficiency of 100% or higher, convert power into heat, convert renewable low temperature heat into power, store and deliver independently from each other upon request both, heat and power, cost competitive. On top of that, this system is site-independent, unlike pumped hydro, and cyclically stable, unlike batteries. CHEST is based on an existing technology (heat pump, thermal storage and ORC), however ground-breaking advancements are necessary to ensure its high-efficiency and cost-competitiveness. A smart system control strategy including the implementation of forecasting models will be developed to allow the system to use the energy in the most cost-efficient, technically appropriate and flexible way. It will consider the interaction with the electric grid (supply and demand side), the interaction with the district heating network and the integration of other heat sources. A complete 10 kWel laboratory CHEST system will be built and validated in the relevant environment. 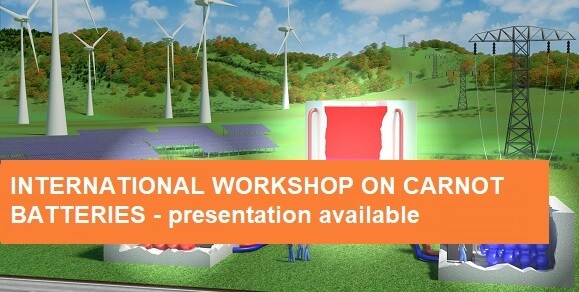 The very promising energy storage and management system – CHEST – will be a key towards the achievement of energy objectives and mitigation of the future energy system’s challenges. Large-scale (multi-MW range) cost-competitive (130€/kWh) plants could already reach the market by 2025. 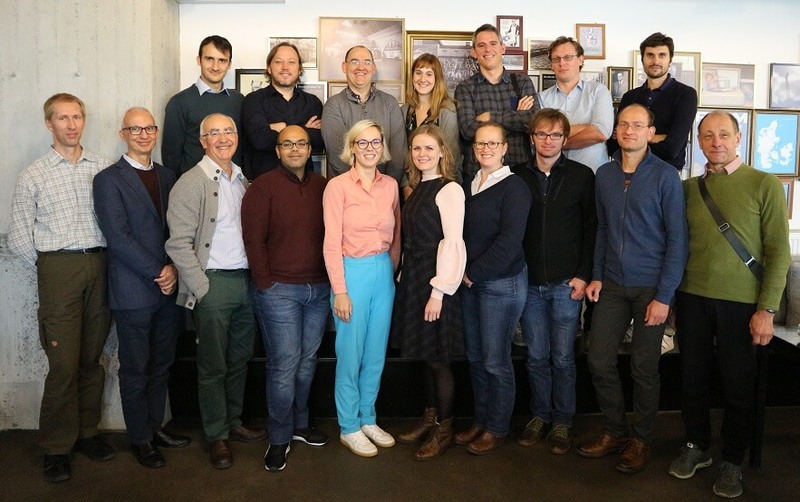 CHESTER consortium is comprised of 12 well recognised and experienced key actors across the value chain representing industry, research, and academic organisations. CHESTER is coordinated by Tecnalia, and the project’s kick-off meeting was held at Tecnalia’s facilities in the Basque Country on the 24 th and 25 th April 2018, including a visit to its Thermal Energy Laboratory at Azpeitia. All partners discussed the technical content, tasks to be done during the next six months and administrative and financial issues.